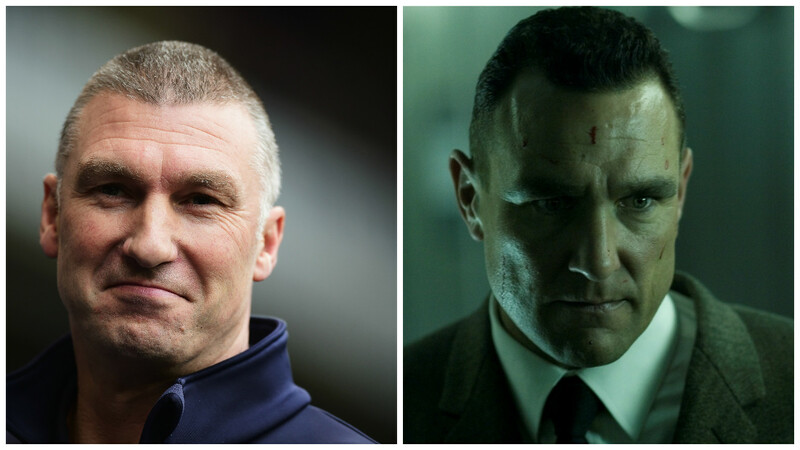 Former football hard man Vinnie Jones is in line to play former Leicester City boss Nigel Pearson in the much-anticipated film about Jamie Vardy’s life, according to the screenwriter Adrian Butchart. Speaking to Newsweek, Butchart approached Jones after he finished top of a poll ran in the Leicester Mercury newspaper about who the fans would want to play Pearson. He explained: “That came about because the Leicester Mercury ran a poll of who people wanted to see as playing Nigel Pearson.The choices were Vinnie, Jason Statham or Ray Stevenson. Butchart, of Knightsbridge films who were behind the first two GOAL! films explained his desire to make a movie about Vardy instead of some more accomplished names. He told Newsweek: “People said why not make a movie about Ronaldo or Messi or one of these other guys who are more famous. With filming to start around October, a release date target of summer 2017 has been set and as for who will be the leading man? Butchart says that will be cast when a director is appointed.